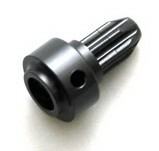 STRC has came out with an Aluminum Center Drive Shaft Front Hub (part# ST6888) for the Traxxas Slash 4X4. 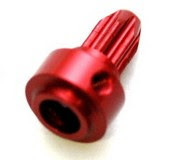 This new part provides strength and durability over the stock plastic part that it replaces. The alum. 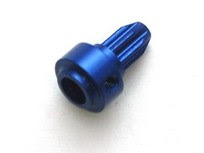 center drive shaft front hub comes in for different colors: blue, gun metal, red, and silver.